Ritherdon has requested a review of the Fire Test Report for the FireSeal and the Fire Rated R5 Meter box. The first testing since the design for the FireSeal was started back in November 2012. This test also included re-testing of the Fire Rated R5 Meter Box. In fact, the first fire testing was done in 1979 for the R5 Meter Box. Since then Ritherdon has continuously tested all the Passive Fire Protection products. Including the latest Smoke Resistance for the FireSeal testing earlier this year. Standards are updated regularly, so tests which were carried out several years ago may no longer be relevant. For the FireSeal and the Fire Rated R5, regulation hasn’t changed. 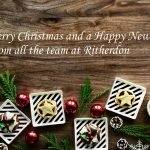 Regarding design and manufacture, Ritherdon hasn’t made any changes to the design that has been tested and continue to manufacture to the excellent quality standard that we are known for. 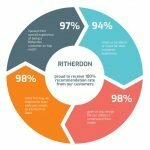 To reflect the fact that regulation, design and manufacture remain the same Ritherdon requested a review of the original testing done in November 2012. As designers and manufacturers of passive fire products, we understand that fire testing methods, regulations and standards are updated regularly. To keep updated, test reports should be reviewed over time against potential changes in regulations or testing standards. Such is the case for the testing carried out in 2012 for the FireSeal and Fire Rated R5 Meter Box (Chilt/RF12153 Rev B). As pointed out by the Chiltern (now Exova) in their report, fire tests should be reviewed after five years to make sure they are up to date and still remain relevant. Ritherdon has since requested a review of the initial Fire Test Report as an assurance that the test method used in 2012 still remains current. The review takes into account present test procedures, considers if there have been changes to the way test methods are carried out, any resolutions that may have affected test methods and any end-use regulations that may disallow specific test methods. Exova Warringtonfire has concluded the review since that initial testing on the 12th of November upon Ritherdon’s request. It determines that the results of the test report remain valid at the present time. The review can only be assessed in conjunction with the full original test report (Chilt/RF12153 Rev A). Thus deeming the fire test reports that Ritherdon has used for the design and manufacture for the FireSeal and Fire Rated R5 Meter Box remain current to present conditions. These should be reviewed if there are changes in regulation, hereafter. As we have done in the past, we will diligently test our products as and when it becomes necessary. Please feel free to request the test reports and the review letter from Exova Warringtonfire. Discuss the requirement for passive fire protection of meter boxes and access panels that you may have with our dedicated team. If you’re in the North of England contact us and ask for our colleague Katie Brown who will guide you through the range and assess your needs. She’s worked with the FireSeal and passive fire protection range since it’s development at Ritherdon and has worked on numerous projects with local councils such as Leeds City Council, housing associations and contractors such as Mears and Wates Living Space. For the south of England, contact our colleague Kevin King who is on hand to help assess your needs, working closely in the last years with specialist fire organisations such as Ventro and London Fire Solutions. As designers and manufacturers, we have the capability to develop a product alongside our customer if you can’t quite find what you need under our passive fire range.